Presented for auction is this superb Vintage Royal Doulton Large Character Jug Catherine of Aragon D6643. 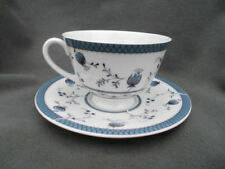 Produced by Royal Doulton from 1975-89, it was designed by Alan Maslankowski and is Doulton number D6643. It is superbly modelled and finished in a red, gold, black and white colourway with the handle being a grey tower, superb quality item/craftsmanship. Measuring 7" high approx. 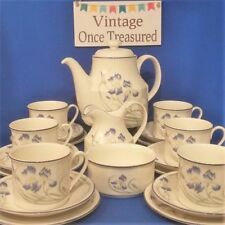 it is in excellent used condition with no chips, cracks, crazing or restoration and is marked to the base with the Royal Doulton mark, the jugs name and doulton number, please see all the additional photos as they form part of the description. A superb vintage Royal Doulton large character jug in excellent used condition, please see all my other auctions for more quality items. Good luck and thank you. Numbered 6863 and Highly Collectable. 'The Ring Master' by Royal Doulton, 1990. Model number D6632. A fabulous ceramic large character jug in a hand painted gloss glazed multi coloured. Manufactured by Royal Doulton, England. Fully backstamped to the base with the trademark for Royal Doulton in green ink and script. VINTAGE ROYAL DOULTON LARGE CHARACTER/TOBY JUG D 6429 THE POACHER. I have for sale this very beautiful Royal Doulton character/ toby jug D6429 THE POACHER. Height 7" - 17.8 cm.Issued 1955 - 1995. The base is stamped Royal Doulton. It does not have it's original box. Condition is described as Used/Very good: Item has previously been used/displayed before being donated to the charity. Jug stands 5.5" at it's highest point. Doulton & Co 1963, excellent condition Gondolier. RARE ROYAL DOULTON SMALL CHARACTER JUG ERIC KNOWLES EXCELLENT No: D7130. Produced in England by Royal Doulton in 1998, it is a Limited Edition piece. Only 1,500 were ever produced and this one is numbered a low 126. ROYAL DOULTON 'DOULTONVILLE COLLECTION'. Lovely Toby Jug from the Doultonville Collection. This is another spectacular character jug from Royal Doulton. This one "Christopher Columbus" D6891 was issued in 1992 to celebrate the discovery of the "New World" in 1492, 500 years before. As the UK's number one heart charity, the cutting edge research we fund has already made a big difference to people's lives. Item Condition. New listingROYAL DOULTON CHRISTOPHER COLUMBUS D6891 LARGE CHARACTER/JUG 1ST QUALITY. ROYAL DOULTON 'DOULTONVILLE COLLECTION'. Four Lovely Toby Jugs from the Doultonville Collection. They stand about 11 cms tall and are all in excellent. Here we have up for Sale Is Winston Churchill Character/Toby Jug by the world famous Royal Doulton Manufactures each one is handmade and Hand decorated/Painted and is in Excellent Condition. This is a Limited Edition only made in 1992 Sorry No Certificate. Royal Doulton Small Character Jug Of Shakespeare by William K. Harper D6938 . Perfect condition. Dispatched with Royal Mail 2nd Class. Royal Doulton Small Character Toby Jug - Tam O'Shanter - D6640. VINTAGE ROYAL DOULTON APPROX 3 INS TOBY JUG GOOD CONDITION, NO CHIPS OR CRACKS OR DAMAGE Dispatched with Royal Mail 2nd Class. New listingArtone Dr Barnardo Toby Jug H 15cm Character Figurine. Artone Dr Barnardo Toby Jug H 15cm Character Figurine.. Dispatched with Royal Mail 2nd Class. ROYAL DOULTON 'DOULTONVILLE COLLECTION'. Four Lovely Toby Jugs from the Doultonville Collection. They stand about 11 cms tall and are all in excellent. MISS STUDIOUS - THE SCHOOLMISTRESS. Tony Weller Toby character jug by Royal Doulton with A date letter 1939-1955. Sam Weller Toby character jug by Royal Doulton - dated 1939-1955. early Parson Brown Toby jug by Royal Doulton with "Parson Brown" on base. It is Doulton model number D6892 and was only issued. 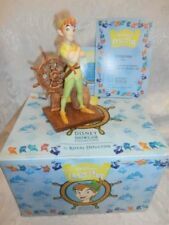 ROYAL DOULTON 'THE GENIE'. (The handle is in the shape of falcon. Good detail, colouring and finish. Our vision for hospice care is that everyone should have access to the services they need. International: Signed-for, or Airsure, where available). ROYAL DOULTON 'DOULTONVILLE COLLECTION'. Four Lovely Toby Jugs from the Doultonville Collection. They stand about 11 cms tall and are all in excellent and. MR.LITIGATE - THE LAWYER. ROYAL DOULTON 'DOULTONVILLE COLLECTION'. Four Lovely Toby Jugs from the Doultonville Collection. FLORA FUCHSIA - THE FLORIST. They stand about 11 cms tall and are all in excellent. DR.PULSE - THE PHYSICIAN. Royal Doulton Lord Horatio Nelson D7236 Character/Toby Jug ltd Edition. This is a Limited Edition of The Jugs of the Year only Produced for one Year. Royal Doulton "The Red Queen" D6777. 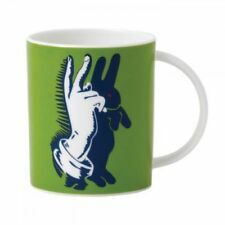 Backstamp: Royal Doulton (see photo). Height: Large 7.25" / 18cm. New listingROYAL DOULTON CHARACTER JUG - THE GARDENER D6634 SMALL SIZE - PERFECT !! Royal Doulton Character Jug - The Gardener D6634. Size: Small. Style: one. ROYAL DOULTON PEARLY QUEEN D6759 LARGE TOBY JUG. Condition is very good excellent ,no damage. This is a first piece. Number 35. New listingROYAL DOULTON FIELD MARSHAL MONTGOMERY D6908 LTD/ED 907/2500+C.O.A 1ST QUALITY. This is a Lovely Piece Rarely listed. Sorry No Box. ROYAL DOULTON DICKENS MR PICKWICK D6261 A` MARK TOBY JUG IN EXCELLENT CONDITION. This is a Limited Edition Of 5000 of which this is no 269. 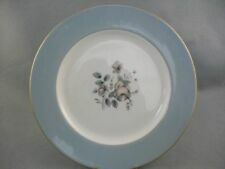 Backstamp: Royal Doulton (see photo). Has very light crazing by backstamp. Neptune - large size - d6548. Royal Doulton character jug. This is a fantastic Character Jug that was issued between 1961 and 1991 although with this backstamp this dates him to before 1974. I have shown a few pictures which can all be enlarged for you to see the condition for yourself. Royal Doulton character jug. I have, as usual, shown a few pictures which can all be enlarged for you to see the condition for yourself. All white dots/blotches are light reflection not faults - my apologies.